128 pages. 61 tritone reproductions. In the summer of 1996, Gregory Crewdson spent two solitary months at his family's cabin in Becket, Massachusetts. 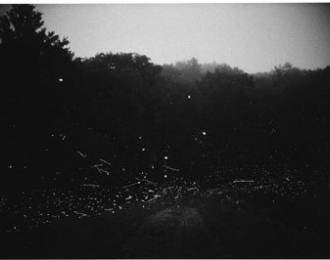 Using both small and medium format cameras, he obsessivily photgraphed the fireflies that came alive at dusk each evening. Crewdson was drawn to the flickering lights, in part, by the underlying impossibility of capturing their elusive beauty in pictures. This book contains 61 tritone reproductions and original text by the artist.